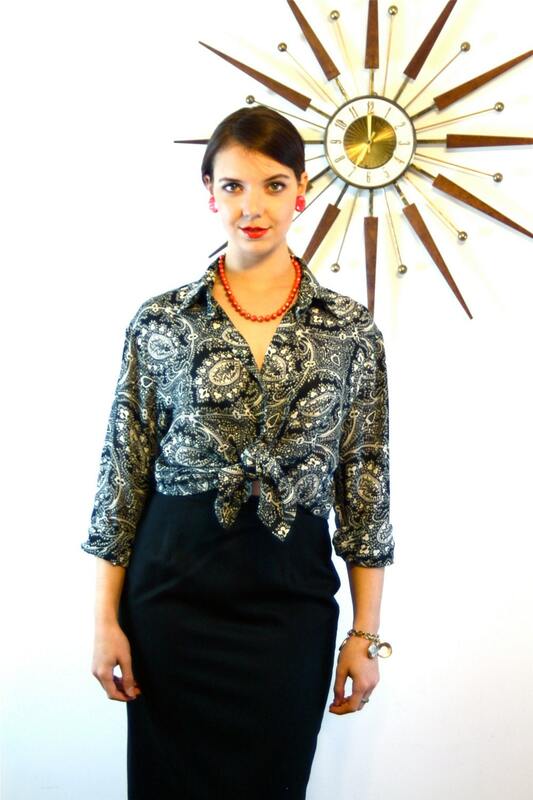 This is such a lovely vintage 80s Diane von Furstenberg blouse! 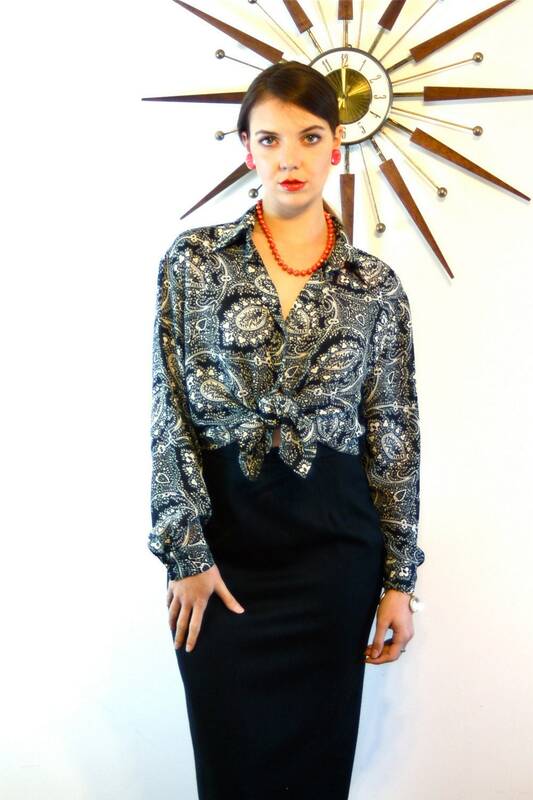 This loose fitting dressy blouse has a beautiful paisley print in black and white. This button down top has a big butterfly collar, and long sleeves with buttons at the cuffs. 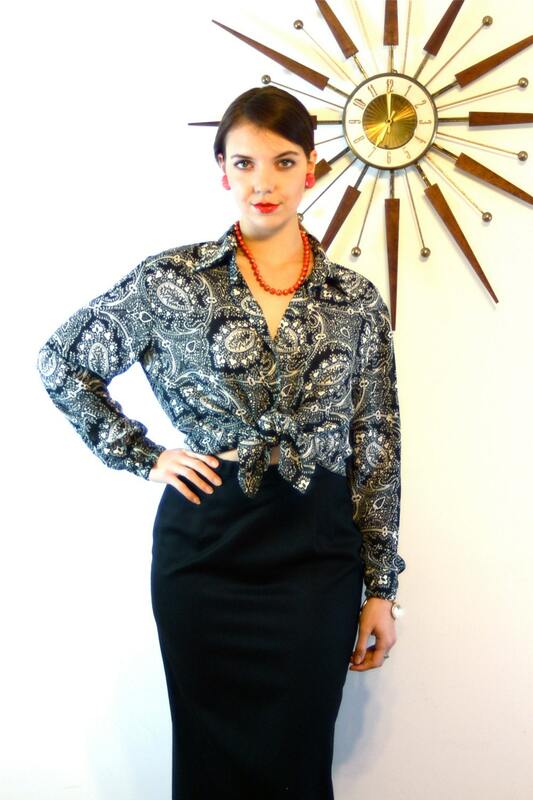 This lovely 1980s DVF shirt is so blousy and beautiful! It would be so perfect with a pencil skirt and heels in the office, or with high waisted jeans and tall leather boots! Tag: Diane von Furstenberg "the color authority"
Model's Measurements: bust:34", waist:29", hips:40", height:5'9"